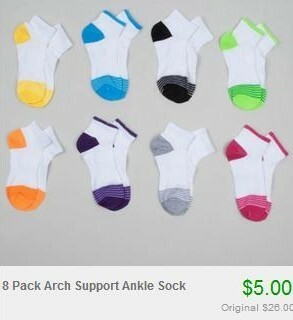 Kids Socks only $0.63 a Pair + Possible Free Shipping! Check out Totsy's Kids Socks Blowout Sale to find tons of kids socks at great prices. You can get an 8-pair set for $5, which works out to be $0.63 a pair! There is a very large selection of products, such as tights and capris as well.